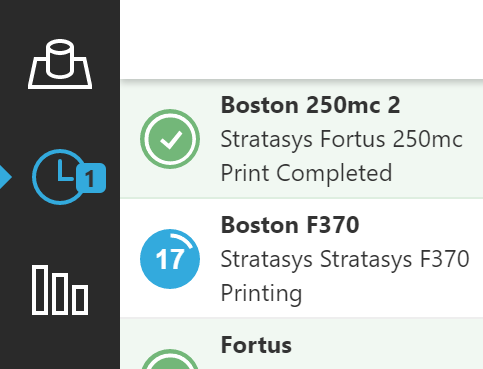 In Schedule View you can view all the queues of all the printers on your network and on your account. 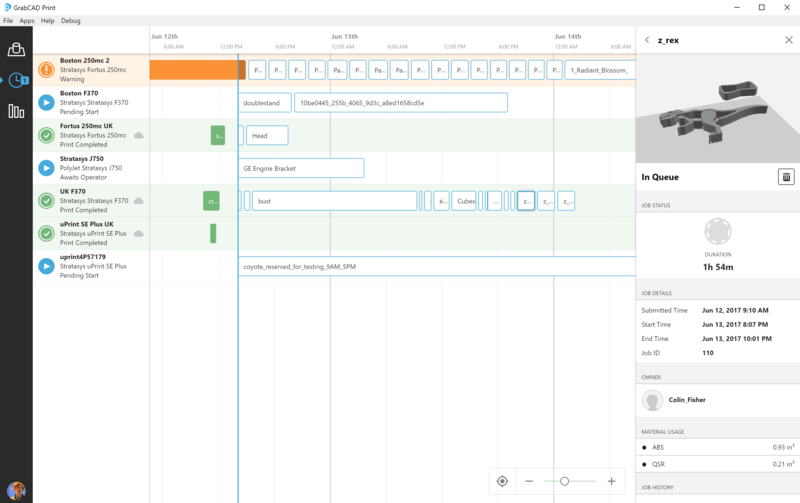 You can get to Schedule View from the main navigation in the app, as well as online if you've set up Print Server on your network. 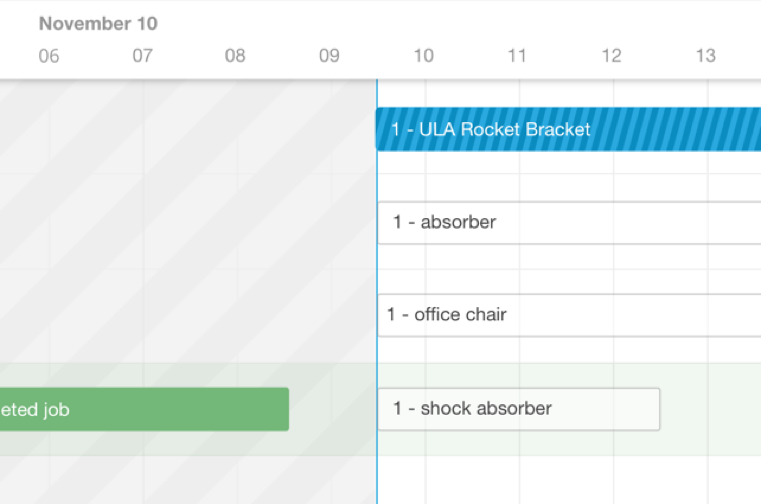 The Schedule View in GrabCAD Print reads the print queue directly from the printer and displays the available information on the table. Click a job to get more information, as shown above. You can reorder jobs in a printer's queue with click-and-drag. 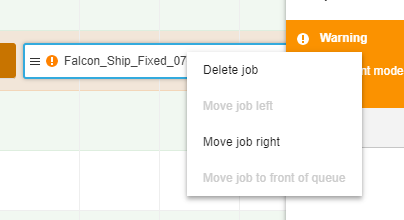 You can also right-click on a job to move or delete it. Use the slider in the lower right corner to control the time scale. Jobs that require attention will have a warning icon and a tooltip explaining why. Clicking a printer from the list on the left will show details such as firmware version and current materials loaded. 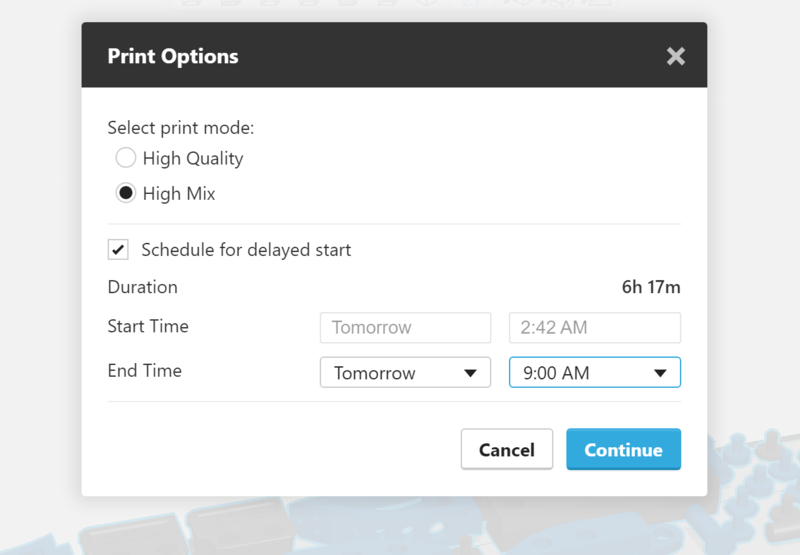 Once your company admin enables them, your Schedule View will automatically adjust the printer queue display to reflect that print jobs are normally only started during your working hours, giving you a more accurate schedule forecast. The start times shown reflect the operating hours you set. You can still start jobs outside of office hours. Jobs will not automatically start at the scheduled time. If you have GrabCAD Print Server set up, you can get email notifications for your jobs, or for all jobs on connected printers. Head to your GrabCAD profile page to change your settings.